Great four bedroom home located in the Deer Creek school district! Upon entering the home you will notice the spacious open floor plan and high ceiling in the living room. This home's layout makes entertaining a breeze with the living area opening up into the dining and kitchen. The master bedroom features an en-suite master bathroom with double vanities, a deep tub, shower, and walk-in closet. The laundry room with storage is conveniently located next to the master suite. Adorable mud bench and built-in desk are great additions to this home! The three other bedrooms are spacious with well-sized closets. Covered front and back porch. Established landscaping in the backyard. Wonderful neighborhood features over 30 acres of parks, walking trails, picnic areas, fishing ponds, basketball court, volleyball court, baseball diamond, soccer field and splash pads in Deer Creek schools. 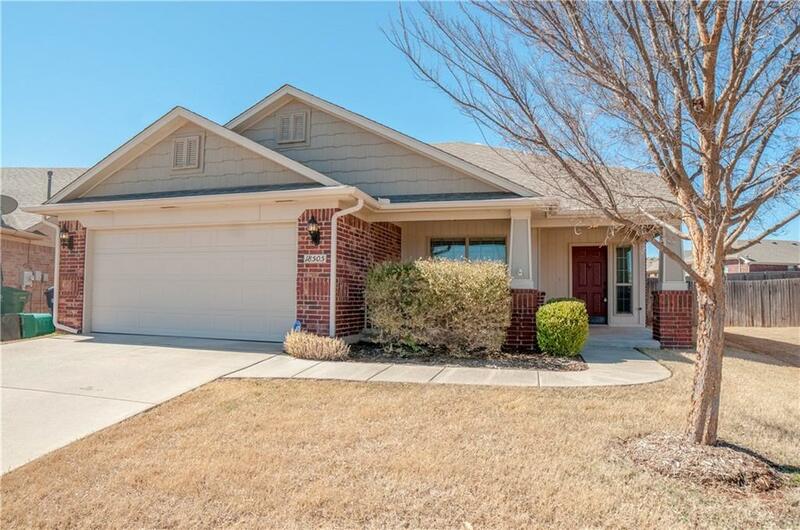 Easy access to Hefner Parkway and Kilpatrick Turnpike. Schedule your showing today!